Comes Complete with Jam Nut So You Have Everything You Need! 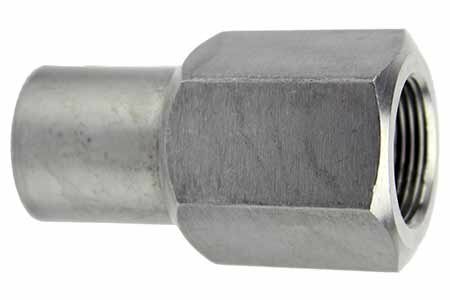 Rod End Directs ECF6 rod end is a high-quality economy rod end with a 3/8'' bore and 3/8-24 internal right-hand threads. 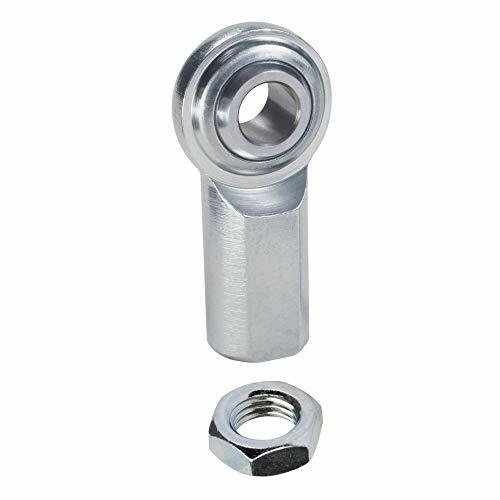 This rod end also comes complete with the jam nut, so you don't have to purchase one separately. Both the rod and the jam nut both require a 9/16 wrench to tighten and loosen. 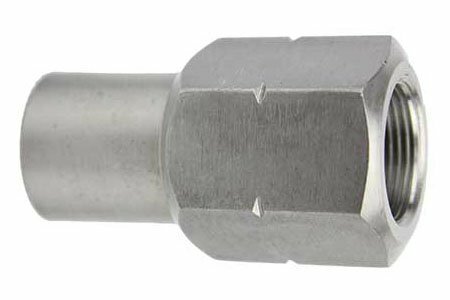 Rod End Directs ECF5 rod end is a high-quality economy rod end with a 5/16'' bore and 5/16-24 internal right-hand threads. 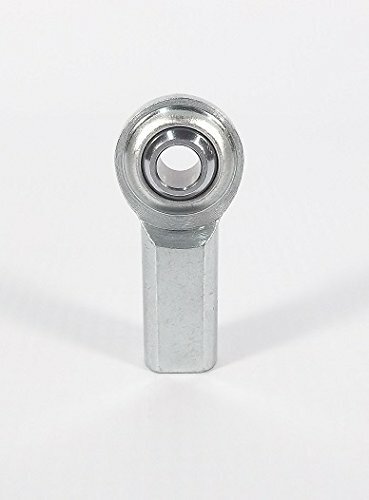 This rod end also comes complete with the jam nut so you don't have to purchase one separately. 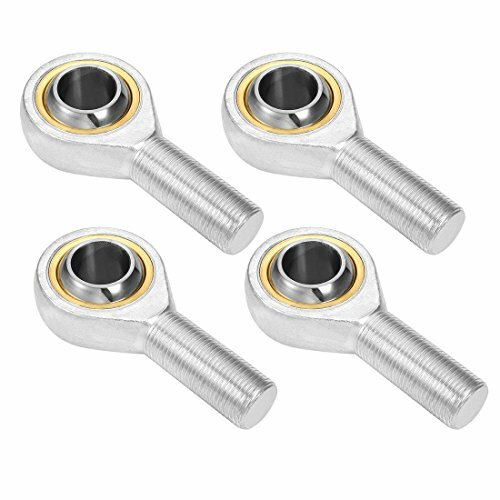 Both the rod and the jam nut both require a '' wrench to tighten and loosen. This Sealmaster CFM Series two-piece spherical rod end bearing has a Y-stud and is used in motion transfer linkage assemblies. The housing is made of machined carbon steel with a larger cross section than three-piece rod end bearings for greater static load capacity, and it is plated for corrosion resistance. 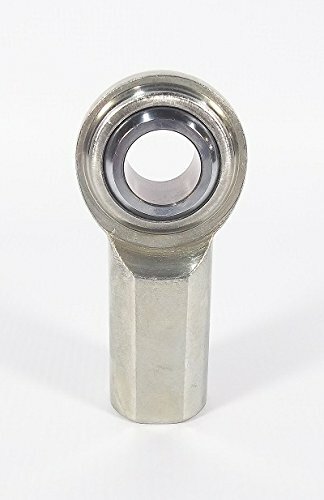 The bearing has a male shank with right hand threads for connecting to rods. 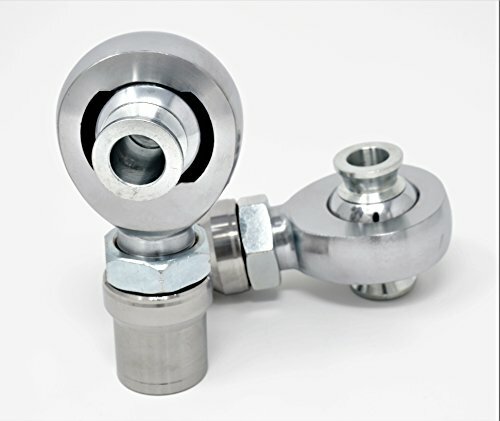 The alloy steel ball is heat treated and chrome plated for resistance to wear and corrosion. A carbon steel Y-stud with right hand threads is mounted in the bore of the ball to provide right angle connections. The Y-stud can accommodate up to 25 degrees of angular misalignment in any direction for flexibility in linkage design, and it is plated for resistance to corrosion. This bearing is lubricated with oil at the factory, and has a maximum operating temperature of 350 degrees F (177 degrees C). This spherical rod end bearing is suitable for use in various applications such as textile manufacturing equipment, agricultural machinery, and off-road vehicles, among others. 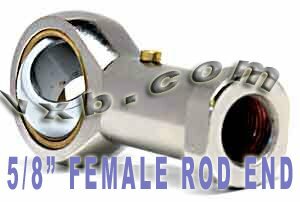 FEATURES: 5mm Bore Self Lubricating Female Right Hand. INSTAL: Large load capability,easy mounting and dismounting and mechanism simplification. STEEL BALL: Bronze race and hardened, chrome-plated steel ball for strength and resistance to wear and corrosion. APPLICATION: Widely used in machinery, power tools,automation equipment, CNC equipment, and so on. 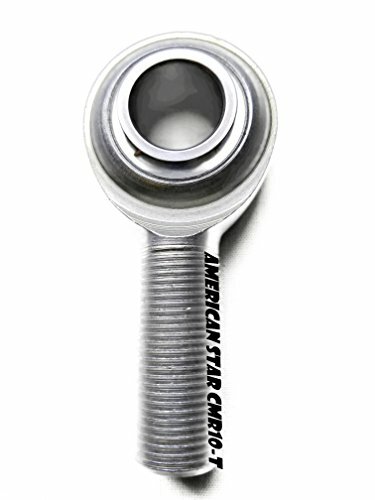 Brand: American Star | Manufacturer: American Star Manufacturing, LLC. This Sealmaster TF Series three-piece spherical rod end bearing is used in motion transfer linkage assemblies. The housing is made of machined low carbon steel that is plated for corrosion resistance. 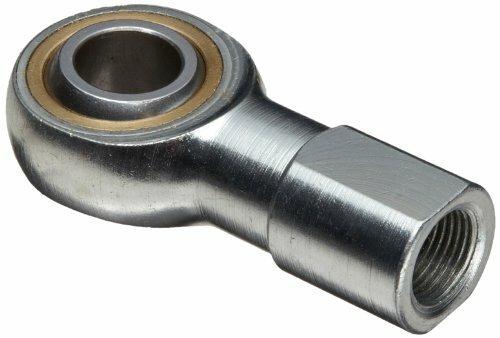 The bearing has a female shank with right hand threads for connecting to rods, and the shank has wide wrench flats for tightening. The bearing s race is made of bronze and the alloy steel ball is heat treated and chrome plated for resistance to wear and corrosion. This bearing is lubricated with grease at the factory and requires no additional lubricants. It has a maximum operating temperature of 350 degrees F (177 degrees C). This spherical rod end bearing is suitable for use in various applications such as textile manufacturing equipment, agricultural machinery, and off-road vehicles, among others. FEATURES: 8mm Bore Self Lubricating Male Right Hand. These massive heim joints are the best you can buy. They are heat treated and hard chrome plated to give you a better finish for longer. The race is Teflon impregnated nylon for superior durability. These rod ends have a 5/8" Shaft with 18tpi. The 5/8" bore is the strongest way to make this heim. Used on sand rails, a-arms, drag cars, rock crawlers or anywhere a high-quality heim is needed. These massive heim joints are the best you can buy. They are heat treated and hard chrome plated to give you a better finish for longer. The race is teflon impregnated nylon for superior durability. 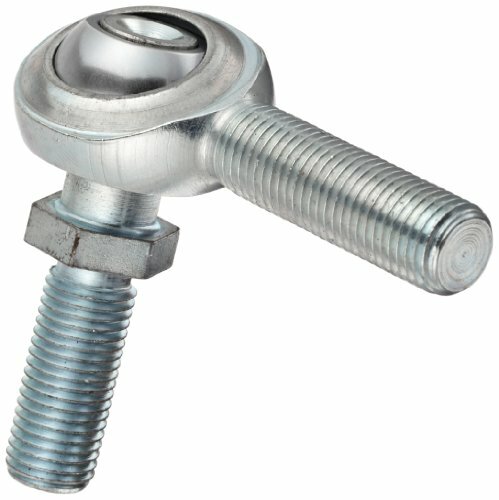 These rod ends have a 1.25" Shaft with 12tpi. The 1" bore is the strongest way to make this heim. 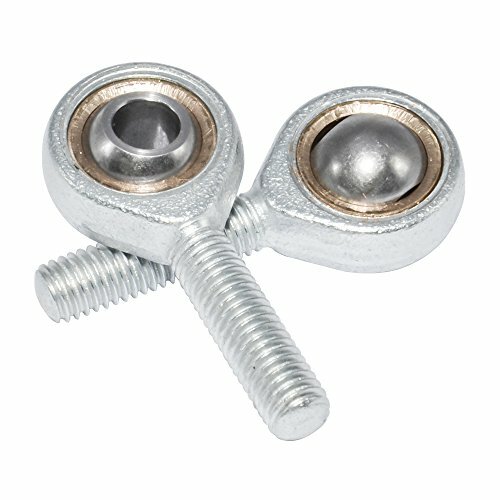 The included zinc coated misalignmnet spacers reduce that down to a 3/4" standard bolt. 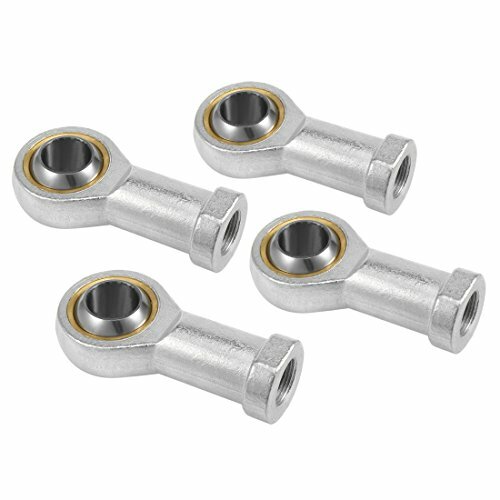 The included jam nut is zinc coated for superior durability. Also included is the 1.5" ID tube adapter. They will fit snugly in any 1.5" ID tube. 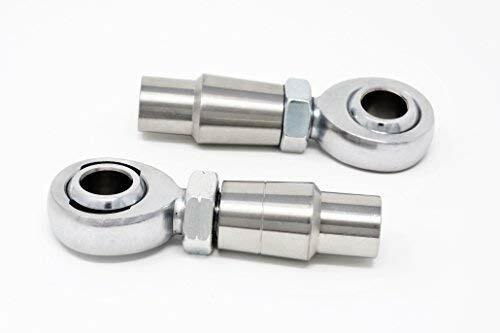 These Heim And Rod End (HARE) joints are the strongest available for your rock crawler Jeep Toyota Buggy or any project you may be building. Includes 1-right hand thread 1-Left hand thread Heim set. Spacers Jam nuts and tube adapters included. This PHSB10 rod end bearing is made of chrome steel, has a female shank with 5/8" right hand threads, and has a 5/8" bore inside diameter. 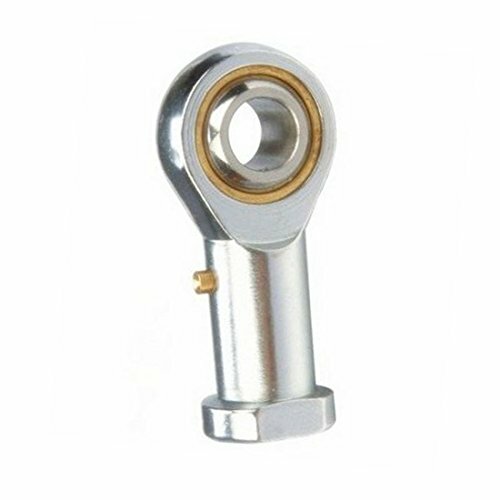 This spherical rod end bearing is suitable for transferring motion between widely separated points. This bearing's female shank is made of chrome steel for durability and resistance to deformity under heavy loads. The bearing has a zerk type grease fitting for lubrication in place. 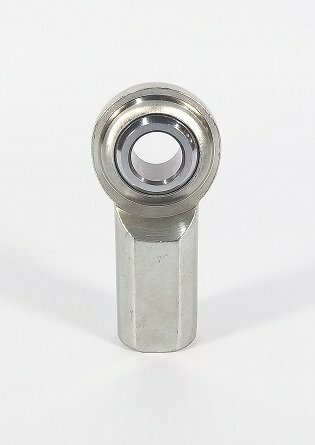 This bearing has a bronze race and hardened, chrome-plated steel ball for strength and resistance to wear and corrosion. This spherical rod end bearing is for use in textile manufacturing equipment, agricultural machinery, and off-road vehicles, among others. RBC Bearings has been providing bearing solutions to our customers since 1919. A publicly-traded company (NASDAQ: ROLL), RBC currently has 23 manufacturing facilities worldwide, with 18 located in the USA.